This page is a mirror of the web page first put up by Sunset Hayes on the LST 996 web site. site and Sunset Hayes for her page design, I only changed the background and updated the links. 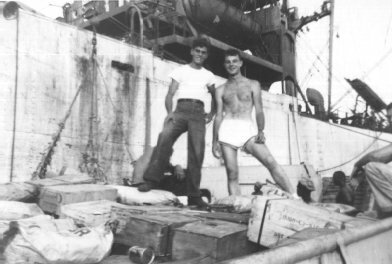 Information and photos were donated for use by Captain Paul Hummel, who was Skipper aboard the LCT 1043 when it road piggy back to Bizerte, Africa on the LST 996. Information below is based on a series of some Email exchanges. 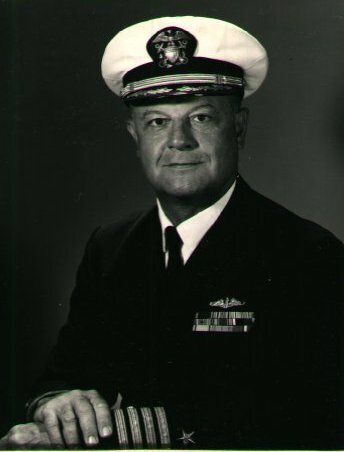 Paul Hummel retired in 1974 with the rank of Captain. My LCT was the (6) 1043. The (6) is the Mark 6 LCT as the Navy calls it or really the model. The Mark 5 LCT had the deck house or quarters across the stern, and was the earlier model. 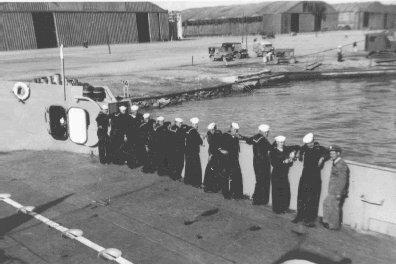 The (6) had the deck houses on both sides making it possible to "marry" with an LST. 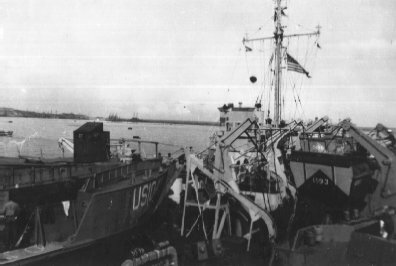 That allowed the LST to anchor with it's stern anchor, and then the LCT would position itself with it's stern at the bow ramp of the LST. The idea was to allow the off loading of tanks vehicles, etc. onto the LCT for transport ashore. Wow, we did it once off the coast of France after the invasion, and took a huge tank aboard. It was an almost impossible task to get the LCT backed up to the LST ramp and a bad idea from some guy in design part of the Navy ?? It could get pretty rough water outside the breakwater at Marseilles, and we had to abort off loading cargo ships there a few times. Our taking of cargo ashore from all size ships went on 24 hours a day for quite a long time after the invasion. Once finished in France we (a group of LCTs) made our way back to North Africa to be loaded for transport back to the US from the port of Oran. That was in December 1944 I believe ? I have a picture of the LCTs en-route and it is almost comical now ! LCTs were about 110 feet long, and yes it was a very large tank. We used to take replacement tanks ashore from ships in the harbor.. When we got them on the beach we often took a spin in one along the beach, to a drop-off point. Or fun time?? Usually loaded on us by a boom from the ship carrying them. Oh about the balloons, they were run up and down as needed; and they existed in the cities along the coast in the USA, around target areas or so they thought. 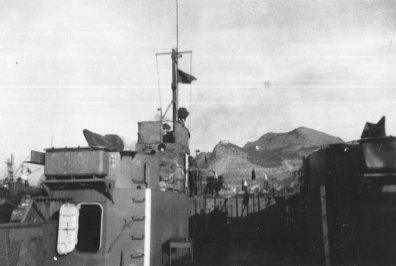 We took a tank or vehicles in the space between and forward of the deckhouses on the LCT. Yes we had a galley, small messing compartment, and berthing for 12 or 18 crew. 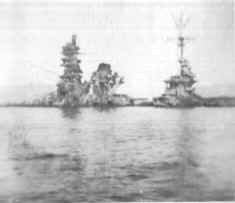 CO had a separate compartment on the starboard side. 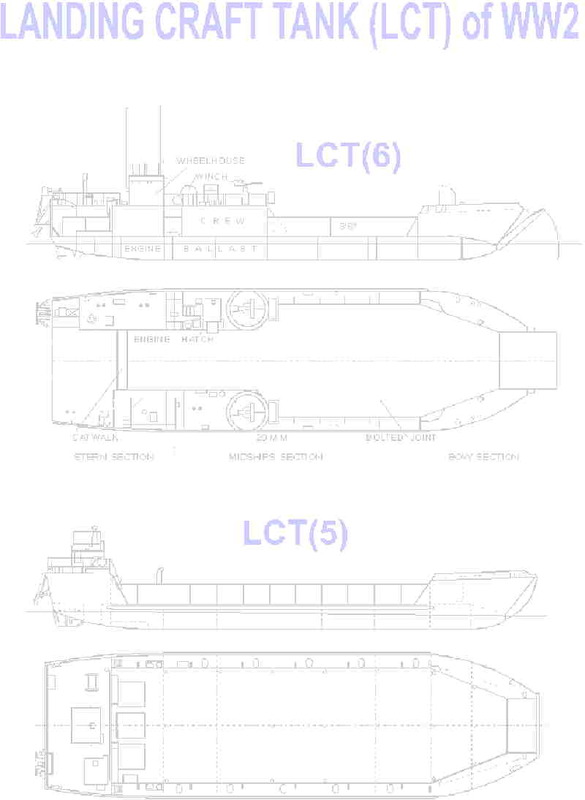 No LST could take only one LCT on the main deck, if it was going to launch it by listing the LST and letting the LCT slide off...some trick!!! LSTs could take 4-6 LCVPs 36 foot landing craft in davits forward and aft if so configured for it. Most LSTs carried 2 or 4. No, when we cavorted on the beach with replacement tanks the enemy was gone North well after the invasion. 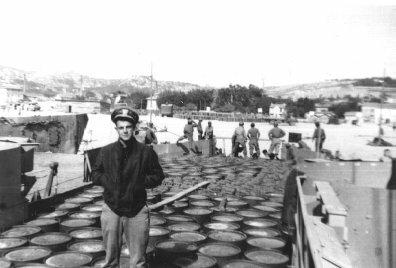 Yes we took most of the cargo from ships anchored off shore in and out of the breakwater at Marseilles, and they had their own loading booms... Liberty and Victory ships and sometimes an AKA or APA Navy types. Port facilities were a mess so the LCTs were the work-horses!!! 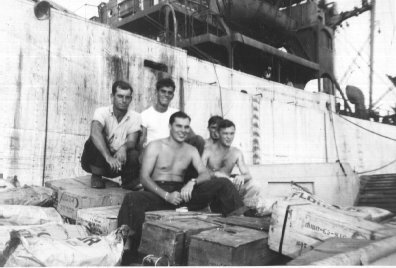 We carried everything ashore from shells, gasoline, toilet paper, ships service stuff (toilet articles) and lots of C and K rations. Even cigarettes by the case and small arms in cases such as 45s and carbines etc. We always helped ourselves to what we needed and bummed food off the larger Navy ships for our galley. I was fortunate to have a seasoned cook and the chow was pretty good.. the Group Commander often came aboard us to eat. Let me tell you, when you have to, you make do!! "Passed by Navy Censors" Yes some kind of pro kits were available and most of my crew had a "hickey" on their necks from the same gal in town?? Yes I noticed background screens. No, I don't know where LST 996 was ported I don't think, but I will look again at the Page. I have copies of the menu, instructions to liberty parties etc. 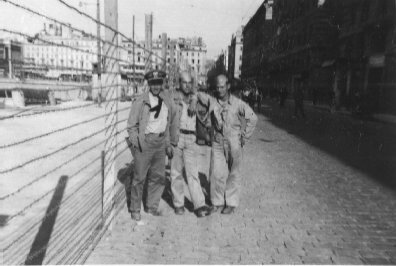 Yes I do have some pictures of the LCT 1043 and the crew while we were in France after the invasion. I will find and scan then and send along for your site. 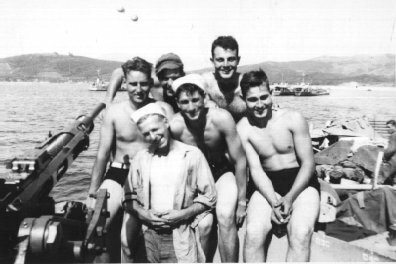 No I really don't remember any of the crew or officers of the LST 996, except I did remember the name Leach. I stood watches on the LST 996 as an Ensign, as we made our way to Europe, so my mind just doesn't serve me well. I am 76 now and live in Newport Beach, California. I do remember after the " launch" of the LCT 1043 in Bizerte, I had to jump into the water to get a line on it for some reason. After that I was in the sick bay for a couple of days... Polluted water there I am sure. The LCT 1043 was in Marseilles for about 6 weeks unloading various cargoes; and I too encountered some strange things from the French Forces of the Interior (FFI) I was never comfortable with who they were, and didn't trust them. We LCT people went on liberty in working uniforms, never dress uniforms. People from LSTs and other ships never could figure out how we were so casual. The main street coming up from the waterfront named La Canebiere was full of bars and most of us just sat at outside patios and watched the people. The popular drink was cognac and it was pretty horrible stuff. The locals were no doubt selling the worst they had ?? We found the French civilians to have money but food was very scarce for them; as we encountered them soon after D-Day August 15, 1944. The climate there was much like Southern California. Russian woman soldiers were guarding German prisoners along the waterfront. Those Russian women were tough broads, I'll tell you. I was a 21 year old Ensign and the members of my "crew" which usually was about 18 men were as young as 18 and as old as 30. It was a real chore to keep them in line with all the "attractions" that existed in town! 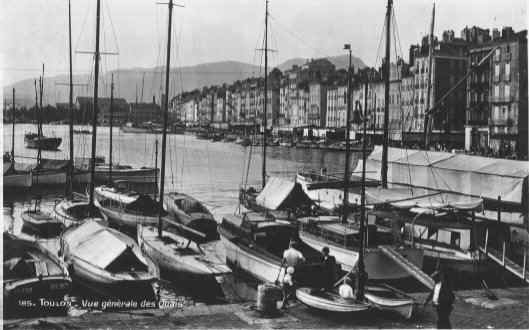 I visited Marseilles about 10 years ago and it hasn't changed much.. A real dingy seaport place and not indicative of the Riviera Coast often publicized. I am sure the LST 996 carried another LCT to the Pacific theater. The diary I kept is a bit more in detail than the one you sent from the ships log...You will see...we had some breakdowns en-route to Africa I don't think the log mentioned. We also had an "air raid" as we entered Gibraltar, at least we thought we did; and everybody started to shoot an an enemy plane if there was one??? I believe someone was hit by falling shrapnel on one of the ships in the convoy. Not sure though. 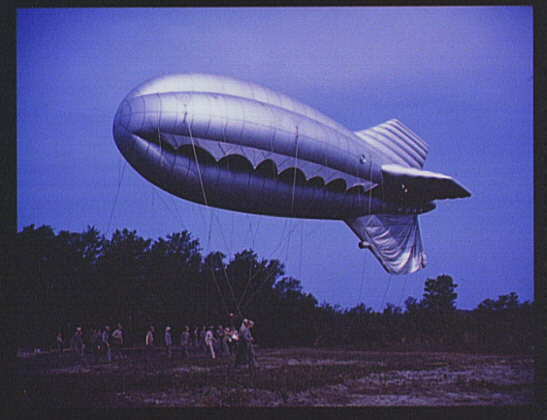 Oh the barrage balloons were run up to discourage enemy planes, and I believe helium was used as the US had it. I don't recall LST 996 having balloons; but could be. Don't think we were close enough to Hiroshima to get any radiation?? Among the pictures I am sending by US mail I will include some of the shots from Kure Japan, and ID them for you. 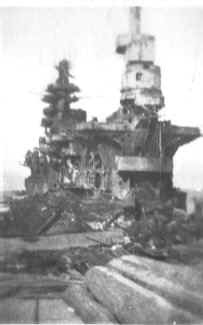 We made a couple of trips from Leyete Gulf to Japan, Hong Kong and Shanghai taking occupation troops and their gear. I have a copy of a funny "Instructions to Liberty Parties" that was handed out to us in Kure. I noticed another LST person had an exact copy of it in "Quarterdeck" paper. I wrote him and sent him a copy of it that I have. I will send you one too! Click here for more of Mr. Hummel's photos. 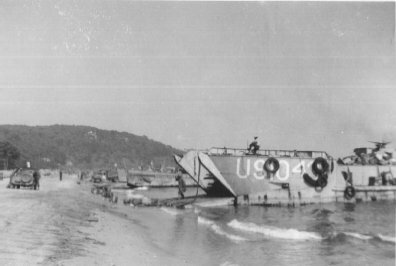 Comments from Richard Fox: I think it is unique to have a page for the LCT that LST 996 carried. 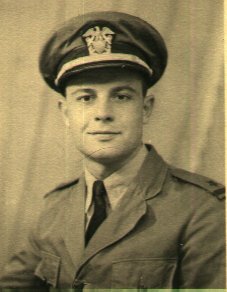 Sunset, I want you to have the LCT 376 Web Site Award for the work you are doing to keep the memory of the World War II amphibious navy alive and to Mr. Hummel for his service and contribution to LCT history. Keep up the good work. 1. There will be a large number of men ashore at the same time at both Kure and Hiro, morning and afternoon. The morning party will arrive at 0830 and leave at 1100, the afternoon party 1330 - 1600. 2. You are to remain in the same, either Hiro or Kure, to which you were sent, since the road between the two localities is bad and Army traffic heavy. 3. U.S. Navy Shore Patrol will work in conjunction with Army Military Police. You will obey directions of both. 4. No alcoholic beverages will be brought ashore or used if obtained ashore. Do not under any circumstances drink Jap beverages of any kind. 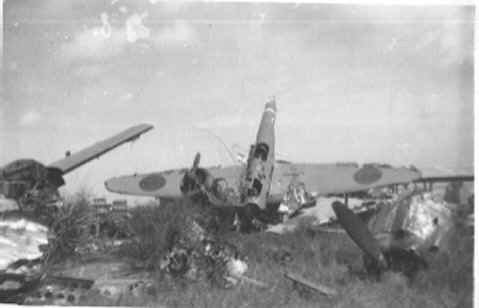 It has been found that much of the Jap beer and Saki contains poison. 5. No U.S. currency will be brought ashore for use in these areas. etc. will be taken by the Shore Patrol, and the names of men from whom such articles are taken will be sent to their commanding officer for disciplinary action. 7. It is prohibited to enter any private Jap dwelling. DO NOT FRATERNIZE. Conduct yourself in a distant and military manner toward them. Fraternizing is defined as joking, carousing, or carrying on in other than a business like manner on terms of friendliness and equality. 8. You are directed not to gang up in large groups, but to wander about by yourselves, or in twos or threes. The reason for this is in order not to block roads, cause disturbances, etc. 9. Stay clear of U.S. Army work in progress and Supply Depots. There are several Supply dumps containing U.S. Government, and confiscated Japanese property. You are to stay clear of all these spaces. In case of doubt - Don't touch. 10. It is permitted to ride on streetcars provided fare is duly paid, but you are forbidden to hitchhike or accept rides from individual Japs. 11. Upon returning to the docking area you will be inspected by Shore Patrol and checking of souvenirs will be conducted with each man. When your boat is announced approach the gangway in single file. 12. There will be a First Aid Station at the Navy Shore Patrol. Headquarters near the dock. Shore Patrol Personnel can direct you. The First Aid Station will also be used as a prophylactic station. 13. You are permitted to bring ashore only 1 package of cigarettes and 5 cigars per man. KEEP THIS PAPER WITH YOU. IGNORANCE IS NO EXCUSE FOR BEING STUPID.